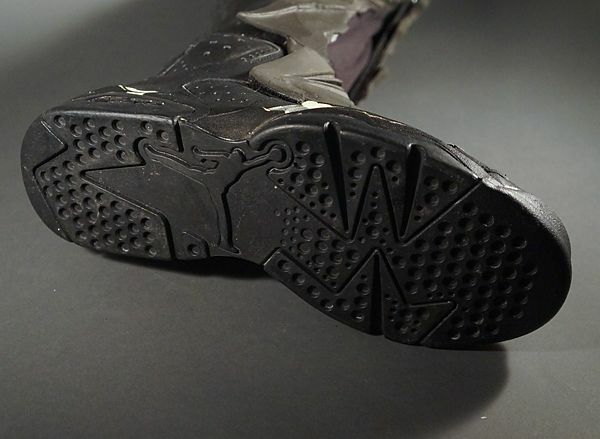 "You Flush It, I Flaunt it..."
For 1989's Batman, Nike used the Air Trainer III. 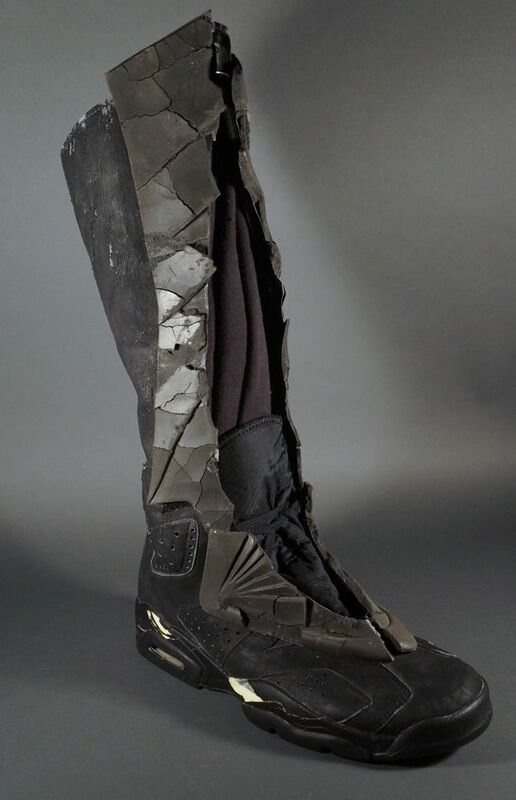 Both Michael Keaton and the stuntmen loved the shoe, which provided a comfortable aspect to an otherwise uncomfortable garb. 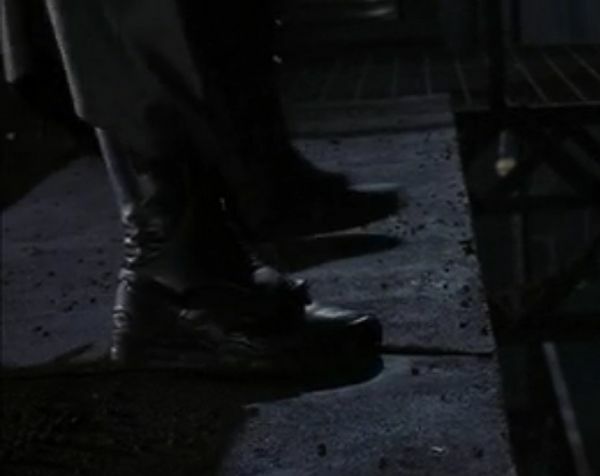 The relationship was so successful that Nike again provided the shoes for the character's second outing in Batman Returns. 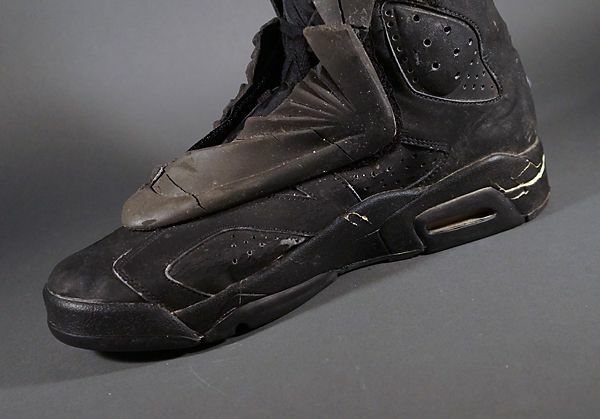 This time around, Nike used a modified version of their Air Jordan VI shoe, adding an attached boot collar allowing for placement of Batman's shin armor. 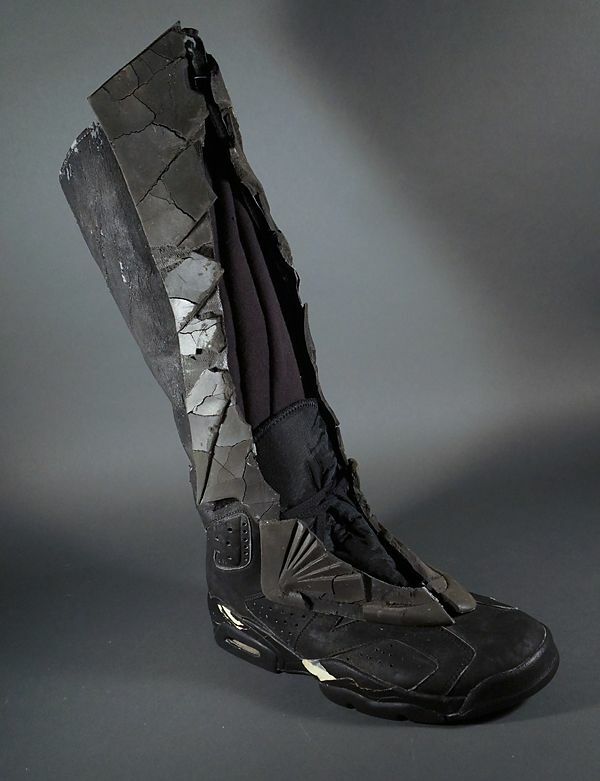 Over the years, the Nike Bat-boots have made their way into private collections, either as pairs or as individuals. One of these collections belonged to Ray Rohr. Ray was a world-renowned robot enthusiast and toy dealer responsible for much of the importing & exporting of Japanese toys throughout the 80's and 90's. 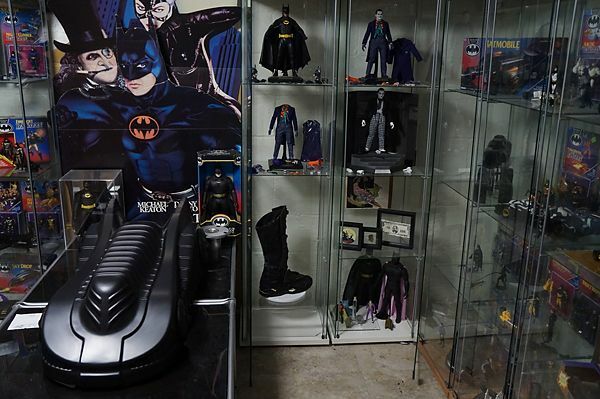 His collection of toy and pop culture memorabilia spanned decades and filled an entire warehouse. Kind of like the end scene of Raiders of the Lost Ark... Except filled with really cool stuff. 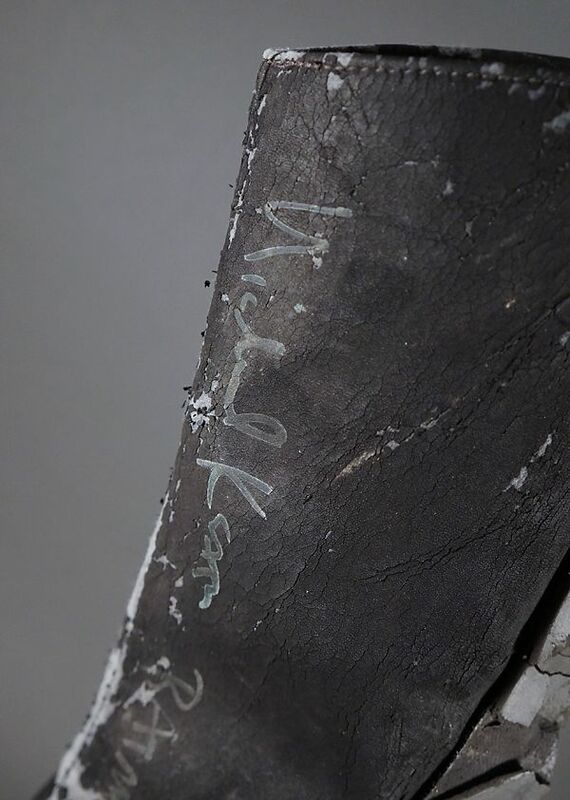 Though faded with age, the signature and inscription were unmistakable- "Michael Keaton Batman Returns!" 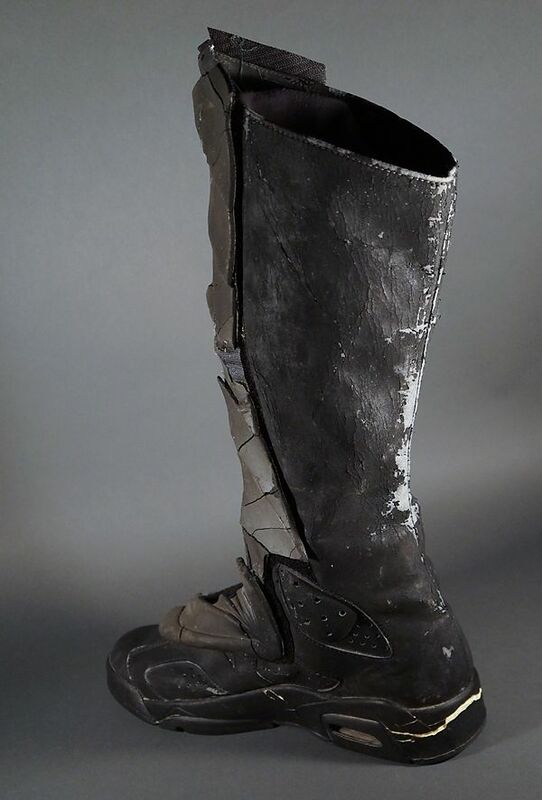 Turns out that this wasn't just an old dirty boot... 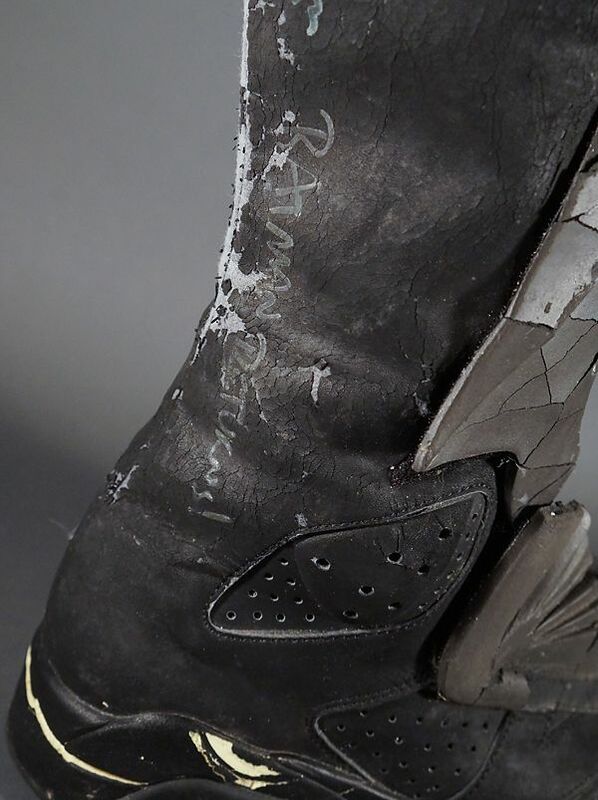 This was one of Batman's boots used for Batman Returns, signed by actor Michael Keaton! The seller quickly listed the item for sale on ebay, telling the story about it almost ending up in the garbage and noting that "one man's trash is another man's treasure". Well, that man ended up being me. :) I watched this puppy until the very last second, making a hopeful bid at the end and walking away with the win. 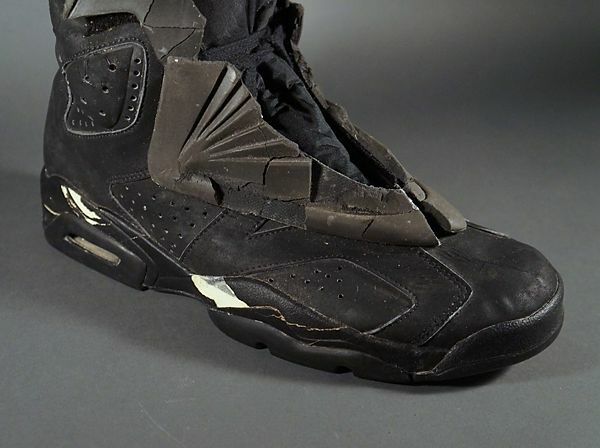 I didn't think I had a chance of getting this... but I believe my success had a lot to do with the lack of "Nike Air Jordan" in the auction title. 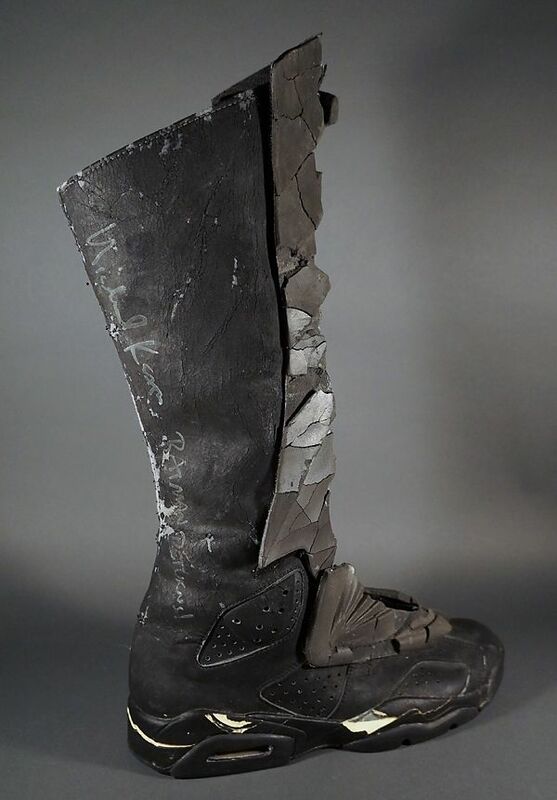 Had it been listed with that included, I have no doubt I would have lost out to the INCREDIBLY passionate shoe collectors worldwide. James this story is amazing! I am so happy for you!!!! 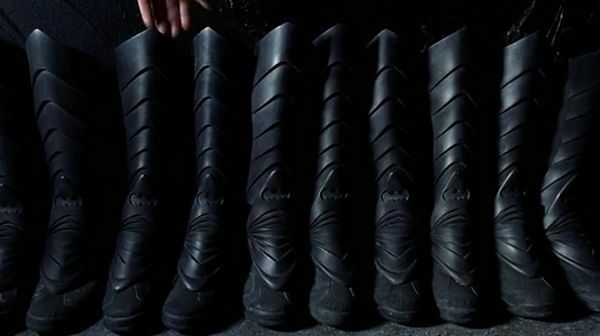 Now we just need to send positive thoughts into the universe of you getting a movie used cowl!!!! It will happen bud! U deserve it! I have to ask... What size shoe is it?